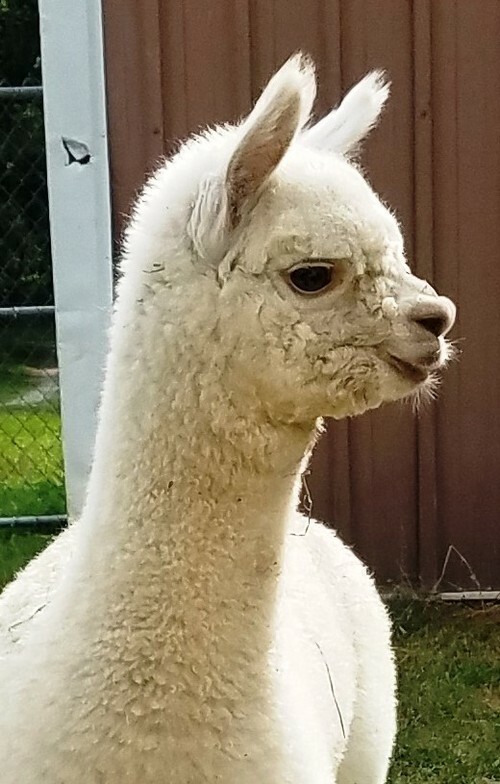 Satin is the result of Snowmass Alpaca's elite white production breeding program producing extreme fineness, density and staple length with unparalleled brightness in her crias. 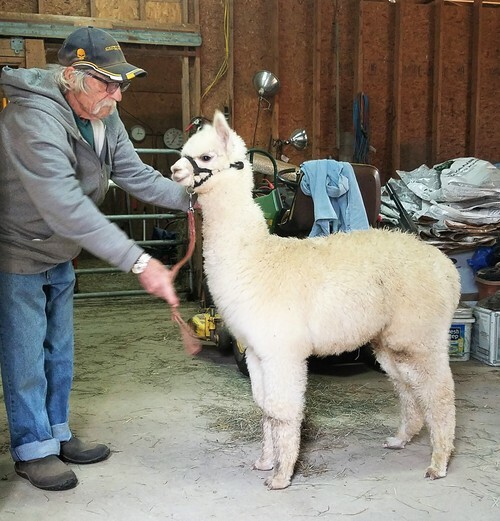 We bred her to 6 x Champion Accoyo America Prince and were thrilled with the quality of her 2014 cria. 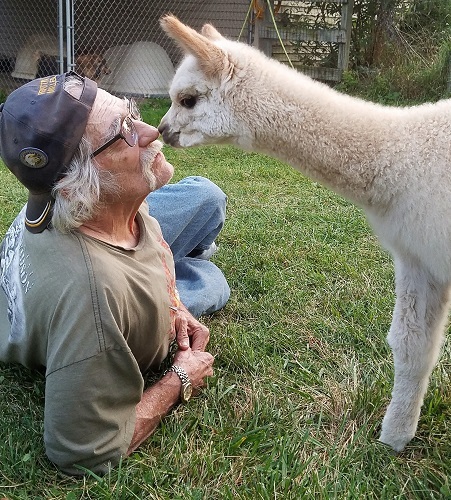 Born on Flag Day, we named him Tealwater's Stars and Stripes - such beautiful white fine and dense fleece! This boy's first year fleece and regrowth after shearing is amazing!! 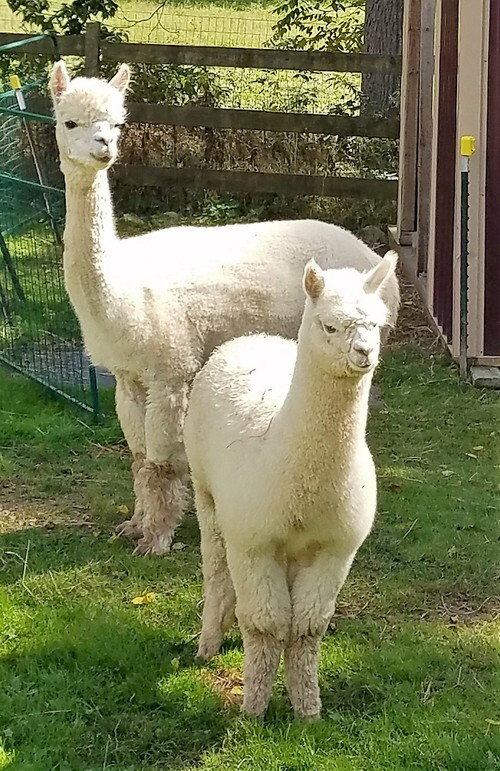 Jupiter inherited fineness and density from hhe combination of Snowmass Elite Legend, Peruvian Hemingway, 6Peruvian Accoyo Elite and Snowmass Snow *King* on his dam's side, joined by our half-Accoyo stud Bernie from CPeruvian Accoyo Express, Peruvian Ion and Brilliance of Peru. WOW! Jupiter entered his first show under Senior Judge Wade Gease in a large class of Yearlings at MIAF Oct. 2018. 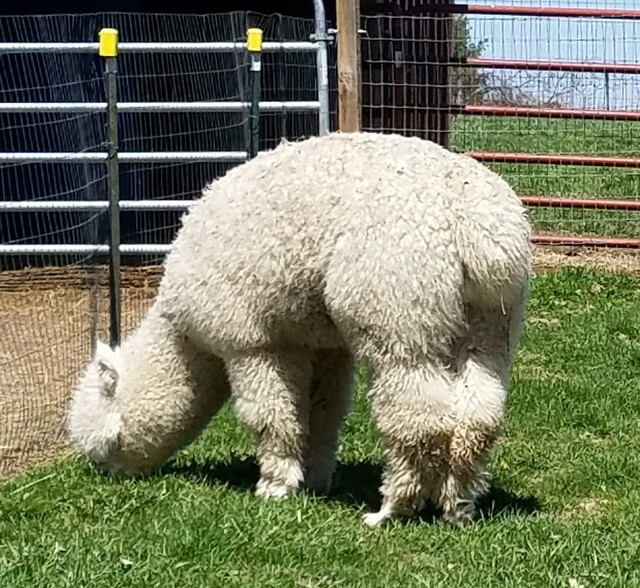 He placed 4th out of 7 behind phenomenal Irish Meadows (Iowa) animals, with the first place in his class also taking color champion and judge's choice awards. Judge Wade Gease commented on Jupiter's proud, solid and correct stature, noting density was the critical deciding factor in his placement behind the color champion, but that Jupiter had the softest handle in the entire class. 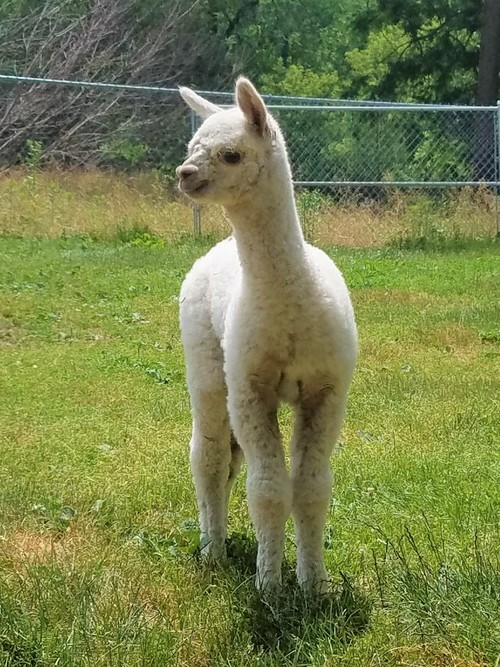 This boy is ready for more shows and a solid future as an elite fleece stud with exceptional bloodlines. 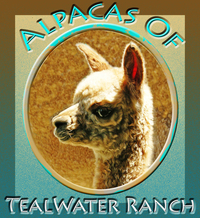 Cash with delivery available within 60 miles of Tealwater Ranch, delivery beyond 60 miles is the responsibility of the buyer.